So I thought it'd be interesting to take a more structured look at nostalgia, specifically 20 years ago. If this thread proves popular it could become an annual thing with 1998 being next year's focus. - What are your memories of 1997? - What were your favourite games? - Any games you're playing or plan to revisit from this year? Last edited by NickSCFC on Sun Feb 05, 2017 4:11 pm, edited 3 times in total. Getting G-Police and the PS dual analogue pad together. That extra stick changed games so much. Cant even remember, but I had an N64 I believe. Cant really remember much from gaming till early 2000 when I started earning my own money. 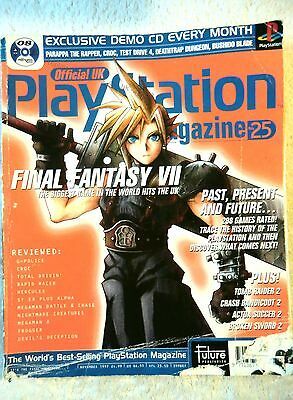 Never had a PS1 growing up, but '97 gave us FFVII, Time Crisis and Symphony of the Night. So I'm happy with that taking the top spot. Didn't get another console until the Dreamcast launched, though I did have a PC to game on in the years between. That said, I did get some time with my cousin's N64 - played GoldenEye and Mario Kart mainly. Genuinely can't remember what I was playing in 1997. I definitely didn't have my N64 at that point, and probably got my Playstation a bit later. A mate got the N64 at launch though, so I probably played some of that with him. Some truly classic games released that year though...Castlevania: Symphony of the Night, Diddy Kong Racing, Final Fantasy VII, Mario Kart 64, Lylat Wars, Super Mario 64. Some of my favourites right there. 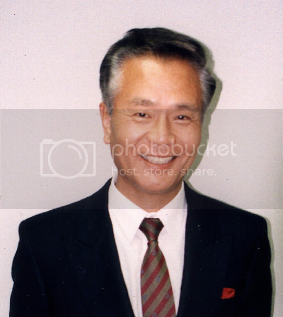 Can't forget that Gunpei Yokoi died in 1997 as well. What a tragic loss. Age of Empires and Quake II, two of the very best games of my childhood. Couldn't wait to get home from school to play them. Last edited by Alvin Flummux on Sun Feb 05, 2017 8:07 pm, edited 1 time in total. 1. Spending £250 of my hard earned cash for an N64 console on launch day, plus £60 for Mario 64 and £50 for Pilotwings 64. 2. Playing those games like crazy and loving every minute. 3. Watching in horror as Nintendo knocked £100 off the N64 a few months later. 4. Being so hyped for Mario Kart 64, and then it's the biggest let down ever. 5. Playing Wave Race 64 and thinking it's one of the best games of all time. 6. Playing Diddy Kong Racing, and thinking it is the best game of all time. Suddenly, everything seems so clear. In 1997 I think I only had a Saturn plus my Megadrive and Gameboy which I very rarely used due to only being able to afford games for a single system. My favourite games from that year were mostly bought a year or two later when my income was dramatically increased (disability benefits = more gaming funds) but of the ones I did play during '97, Saturn Bomberman and Fighters Megamix got hours upon hours of use. AXL wrote: 1. Spending £250 of my hard earned cash for an N64 console on launch day, plus £60 for Mario 64 and £50 for Pilotwings 64. Got the N64 after a price cut. Can't remember the shop, some now defunct music chain but they had 15% off so bought the N64 and Pilot Wings (PW was 2nd had, also had 15% off and was about £35). How times have changed, can't remember the last time I spent more than £20 on a game! I didn't have a console at the time, I did have a PC however and I still have my copy of Blade Runner (which is excellent by the way) so I guess I was playing that. What I was probably still playing most though was Sensible World of Soccer 96/97 on Amiga 500 from the previous year. 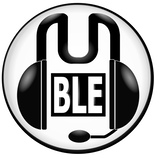 EDIT - Also had the following on PC. EDIT 2 - I War was amazing. Why was Mario Kart such a disappointment for you? That was our go-to game at Uni (along with GoldenEye - of course). The £100 off thing was a bit of a stinger. I remember my dad writing a letter of complaint (even though I had bought the console with my own money from my Saturday job) and Nintendo sent two controllers and a game of my choice - not bad compensation! I was also disappointed with MK64. For me, the problem was that the SNES MK was utterly amazing and my expectations were through the roof. Needless to say, MK64 didn't live up to them. Regards the poll, it would be easier to vote if you listed the games in the OP by format. What I remember thinking at the time was that the PS had the quantity but the N64 had the better quality games. Since I was reasonably poor at the time being a mere ten years old I opted for the N64. All these years later and I still believe I made the right choice.